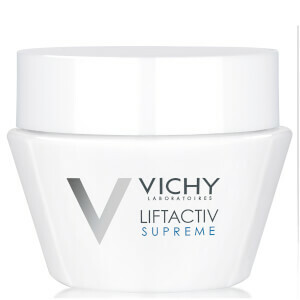 The best of Vichy UVA/UVB cellular protection and anti-aging antioxidants in a breakthrough melting lotion with a "barely there" after feel. Unique formulation with low levels of emulsifiers still allowing for high SPF, water resistance and tolerance. Powerful White Grape Polyphenols and Vitamin E help to neutralize free radicals. Cooling application with a silky, dry-touch finish, absorbs in seconds, no white residue. Cosmetic Ingredients: Water, Dimethicone, Glycerin, Isododecane, Styrene/Acrylates Copolymer, Propanediol, Silica, Isononyl Isononanoate, Inulin Lauryl Carbamate, Nylon-12, Caprylyl Methicone, Synthetic Wax, Poly C10-30 Alkyl Acrylate, Phenoxyethanol, Fragrance, Sucrose Tristearate, Ammonium Acryloyldimethyltaurate/Steareth-25 Methacrylate Crosspolymer, Peg-8 Laurate, Stearyl Alcohol, Polymethyl Methacrylate, P-Anisic Acid, Chlorphenesin, Dimethiconol, Xanthan Gum, Disodium Edta, Tocopherol, Triethanolamine, Vitis Vinifera (Grape) Fruit Extract, Citric Acid, Sodium Benzoate, Potassium Sorbate.